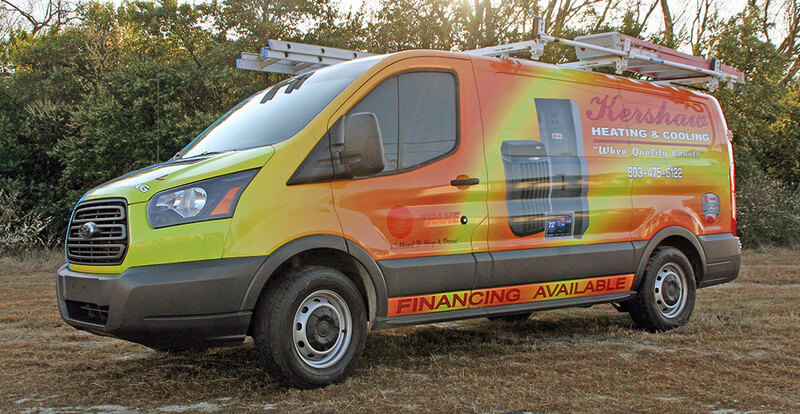 At Kershaw Heating & Cooling, we are an independent Trane Comfort Specialist™ dealer, providing industry leading heating and A/C systems to make sure you get the most performance, value and peace of mind possible. For the reliable products, expert work and family-friendly service that has made Kershaw Heating & Cooling an area favorite since 1986, call 803.475.6122. "Thanks to Kershaw Heating and Air, I am cool tonight. I have used them for 12 years and they never let me down!!" "Tremendous attention to making the customer feel good and making sure they understand everything about their product." Kershaw Heating and Cooling has a great group of folks working there. They should continue doing what they are doing now…… fast service, great communication, friendly people, great follow up.